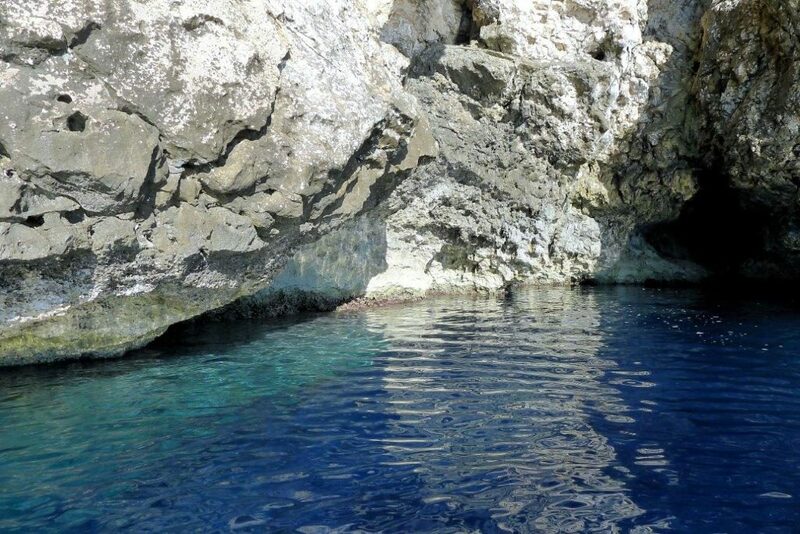 We booked the 6 Island Excursion with Space Fun Troghir to go to the Blue Cave, Hvar City, and a few other places along the way. We met at their booth along the Riva with Maja and 4 other people about 7:30 AM. Maja walked us to the boat, Moody Summer, that showed up from Troghir with a Finnish family on board – mom, dad, and 2 girls. The other passengers were a French couple, a video editor from UK (works for Technicolor), and a female psychologist from Mexico City. 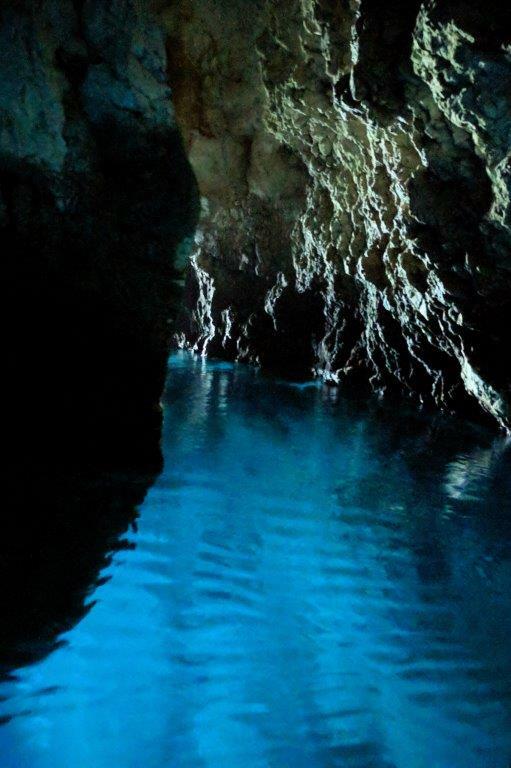 First stop was the Blue Cave on the island of Biševo after a 1.5 hour speed boat ride. The water was smooth but we both had to put on wind breakers. This is the beginning of the off-season and we lucked out – no wait to transfer to the small boats to go into the Blue Cave. The wait can be 2-4 HOURS in the summer. The cave was beautiful and very quiet because only 3 boats were inside at one time. Unfortunately, the visit time is very controlled so we didn’t get a very long visit. 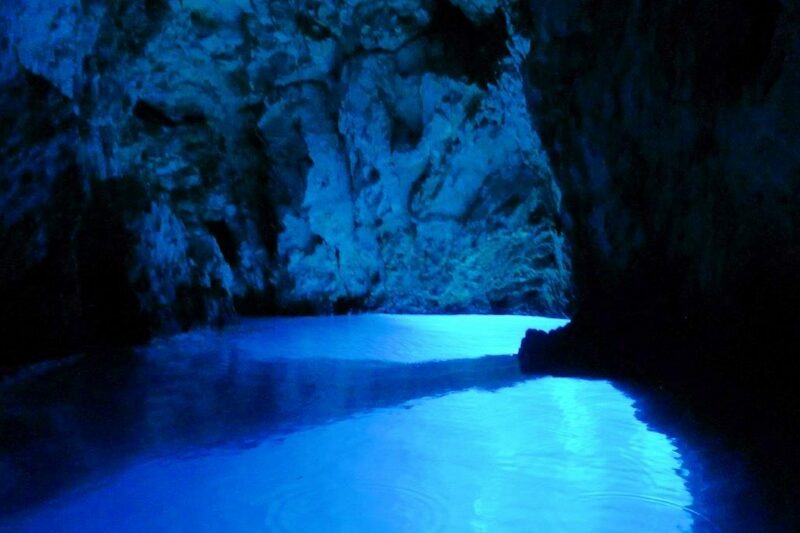 The underground entrance to Blue Cave and where the light enters to create the reflection. Inside the Blue Cave. This is all natural light. 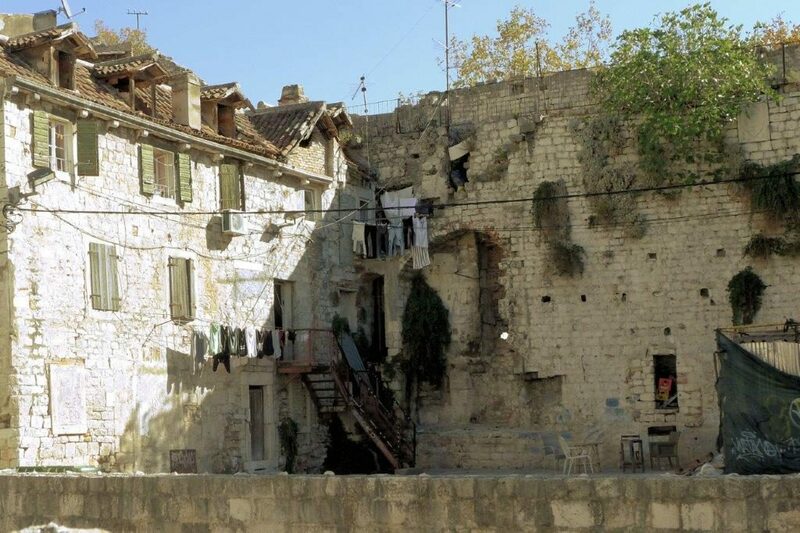 Ever heard of Split, Croatia? Could you find it on a map? Split is the second largest city in Croatia sitting on the Adriatic Sea with a population of about 178,000. 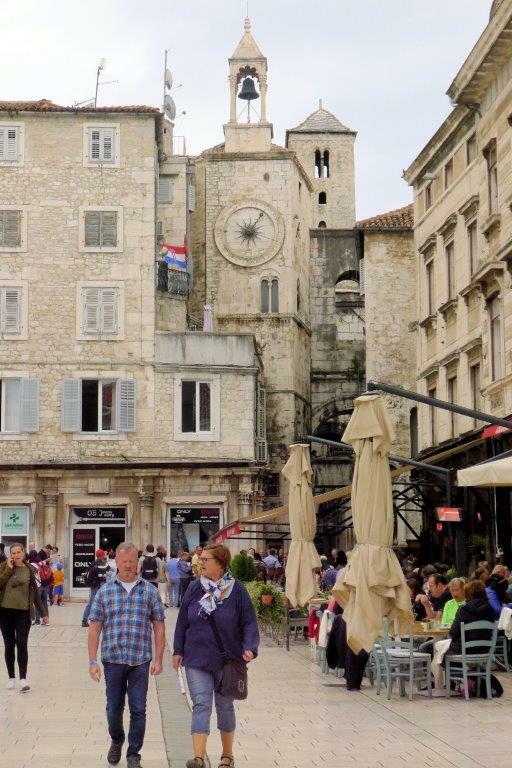 The city is famous for Diocletian’s Palace built in the 4th century AD. The most interesting thing is that the “Palace” still exists after numerous incarnations and people live in it with shops and restaurants built into it. Split also has a seaport so we’ve see cruise ships (Norwegian, Viking, Princess, and a few we’ve never heard of) almost every day. The itinerary seems to be to dock here in the morning and leave about 6 PM to move to the next port. 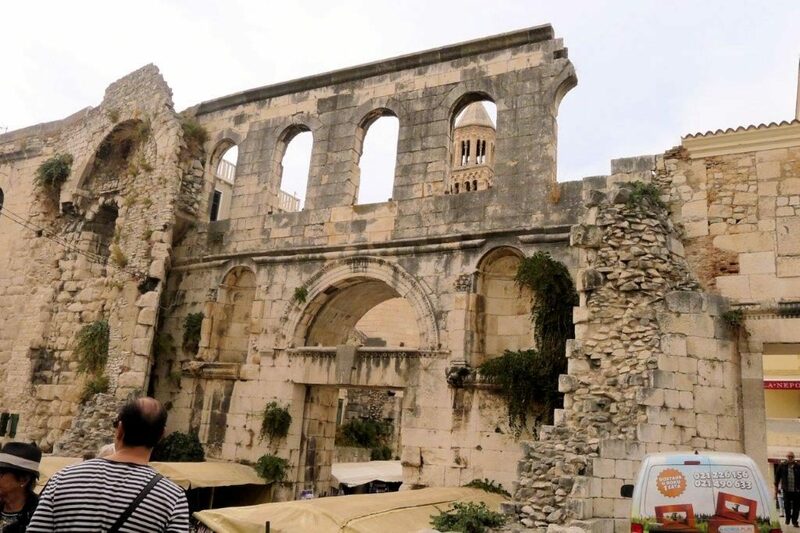 Part of the Diocletian Palace Walls. A few scenes of Game of Thrones were filmed here. Houses are built into the Old Palace. The town square of Split that was part of the Palace at some point. 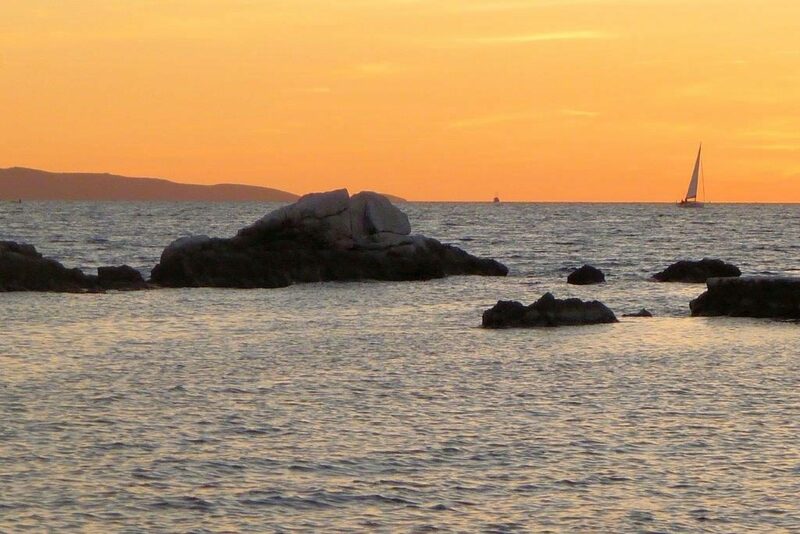 Beaches are located about 4 blocks from our apartment, ranging from a small beach with sand and very shallow water to rockier ones with deeper water. A walkway goes on for several kilometers with ladders to get out of the water, deck chairs to rent for 50 kuna, bars and coffee bars and night clubs and boat docks. The clubs all seem to be closed now since mid-October is the end of the tourist season. We had beautiful sunsets 14 days in a row. 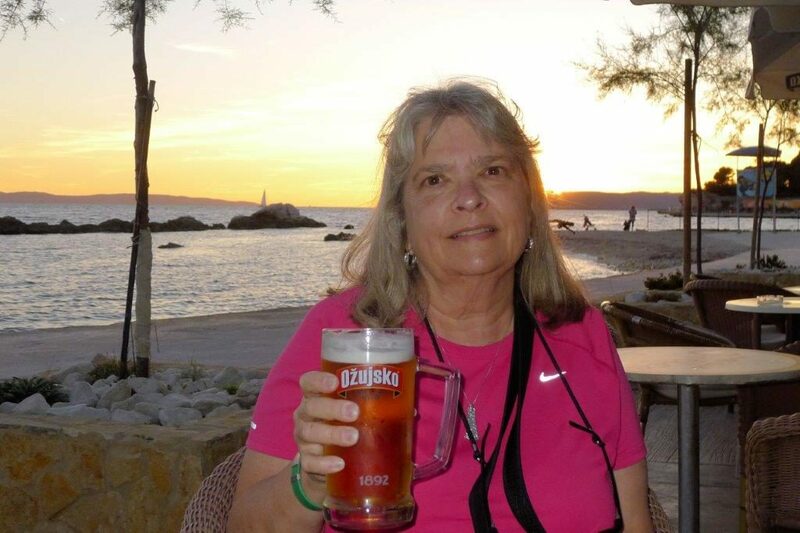 Enjoying a beer with sunset. .5 L beer is about $3 US.